Certain construction elements are designed to last just a few years. This is especially true know that manufacturing companies are using substandard building materials with increasing regularity. 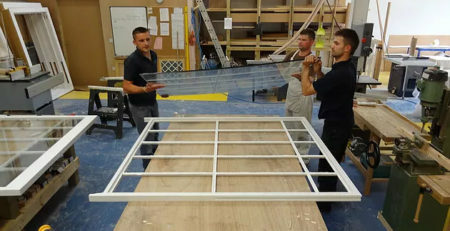 This is the foremost reason why there is such a growing interest in the sash windows London professionals are offering. These structures are far more than just aesthetically pleasing. They are also enduring investments that are capable of providing amazing rewards over time. Among some of the more popular options in modern window designs are PVCu windows. These are made with a strong plastic that can last up to 30 years. They are available in a broad range of styles and colors. People also have the option of painting them to suit the architectural and aesthetic features of their properties. Comparatively, however, wooden window designs are capable of lasting far longer. One only needs to consider the windows at the popular Ham House to see that these structures can last for three centuries or more. The key to ensuring that wooden options last a lifetime and beyond is simply making sure that these are properly cared for. They need to be varnished, stained or painted on a regular basis so that they do not sustain any extraordinary wear and tear from the outside elements. This might seem like a lot, but it is vital to note that PVCu windows also require ongoing maintenance. Moreover, when these lesser structures start to break down, unlike wooden designs, it is not possible to repair them. As such, homeowners will pay less upfront to get PVCu styles in their homes, but they will ultimately spend far more overall in replacing and maintaining these units. Savvy homeowners understand that it is far better to spend a bit of additional money outright, in order to get structures that actually last. Another factor worthy of consideration is the fact that wood provides an impressive level of insulation. It is not possible to trump the insulating abilities of this natural resource. Consumers who are concerned about the health and ongoing well-being of the natural environment can also gain tremendous benefits by investing in all-wood styles. Sash windows do not take a considerable toll on the environment as the result of their manufacturing processes. In fact, they use one-eighth the energy required to manufacture PVCu designs and they do not result in the creation of any greenhouse gas emissions. They actually have negative greenhouse gas emissions overall when accounting for their superior insulating properties. The fact that these options are environmentally friendly is actually surprising to many consumers. Although these products are source from real wood trees, the manner in which these raw materials are obtained is wholly sustainable. This is all the more true when the units are purchased from reputable, ethical companies that understand and diligently manage their supply chains. Aesthetically, products like these are valued for their charm and historic appeal. These units have been around for nearly five centuries and have evolved quite a bit throughout the years. They are an enduring testament to the early engineering and manufacturing ingenuity of mankind. As such, certain aspects of these structures have been largely unchanged over the last two centuries following the addition of weights and counter-balancing systems. If you own a home and want to preserve the original design aesthetics while ensuring ongoing functionality and structure integrity, you may want to have the current windows repaired, rather than replacing these with synthetic window designs that are not guaranteed to last. This is a great way to cut your overhead costs given that first-rate insulation will limit the demands of your home heating and cooling system. It will also add to the value, marketability and overall historic appeal of your abode, which is particularly important if you hope to sell at a profit in the future. Top companies have their own, quaint workshops that they use to perform these repairs. In most instances, they are able to fix windows irrespective of how dated or damaged these might be. 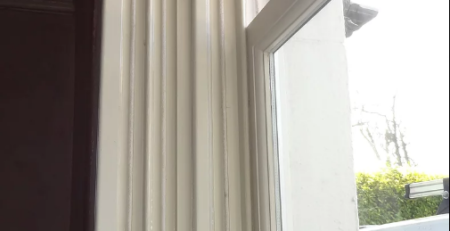 They can also preserve and restore original hardware and can even upgrade existing window styles to include some of the latest and most innovative features in sash windows. These services are trustworthy, environmentally-friendly and capable of providing amazing returns on your investment.